Muneera Wallace lives in Vancouver, B.C. with her two daughters (ages 11 and 8). She has worked as a doula for the past 12 years for several hundred families and as a wellness counselor. 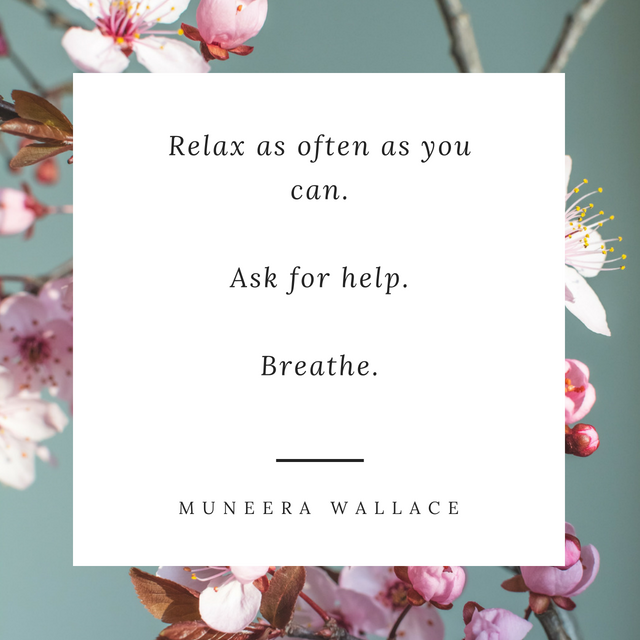 From having kids herself and experiencing the birthing process with so many families, she has come up with three wonderful tips to help us get the relaxation we deserve. Watch the video to see each of these tips explained in depth and to join us in a breathing exercise.